Today’s gospel (Lk 6: 27ff) might well be the among the most challenging (difficult?) teachings of Jesus. Discipleship with Jesus is not easy for the average person; at least for the average person who doesn’t have the grace needed to live according to his command. And hearing from saints like Benedict that the sun ought not set if angry feelings persist, isn’t any consolation on some days. The type of judging and condemning that the Evangelist Luke speaks of means, “Stop using yourself as the measure of things.” Or, “Stop determining another’s activities/agenda.” Or, “Stop acting like a pharisee,” against a fellow Christian (or family member or friend. Ok.
Not sure if you are similar, but loving an enemy is not easy for me. It is, though, the thing Jesus has commanded me to do. A Benedictine friend of mine frequently says, “Jesus told me to love that person, but I don’t have to like her.” Right, love is not understood as a sentiment; loves is having concern for another’s destiny, that is, heaven. Life as a Christian is knowing that the journey we walk is just that, a process. And, I am not finished yet. A concrete example may be the former Yale seminarian of 35 years ago who wanted to give good example of loving an enemy when he offered a grave, next to his mother in Hamden, CT, to the Mr Tsarnaev, one of the two Boston bombers killed. His offer was roundly rejected. Loving your enemies is not socially acceptable. We don’t keep the faith for ourselves (cf Lumen Fidei, ch 3): faith is meant to be contagious, it is meant to be lived full time, it is meant for others. As the metaphor of light indicates, light allows us to see, to encounter, to meet someone anew. That someone is Jesus Christ, and those who faithfully follow Christ. Faith is passed on in a personal way. A new initiative I heard about today is “Strong Catholic Families: Strong Catholic Youth” is a great light, a wonderful meeting of others. Watch the video presentation. Strong Catholic Families: Strong Catholic Youth is present in 60 dioceses as it connects parishes, schools, and families to develop a chain of solid links of faith. Catholic faith is not a private relationship of the “I” and “Thou” but a communio, a “We”, a reflection of an openness that exists among the members of the Holy Trinity: Father, Son, and Holy Spirit. We are never alone; faith is an invitation to others first given to each person that love, mercy, hope and salvation is possible; that happiness is possible today in this world. I would hope that Benedictine monasteries can be centers for this good work of Strong Catholic Families: Strong Catholic Youth!!! I am thinking this program would greatly assist the work of the new evangelization and faith formation programs. The origins of this new work is based on the work of a University of Notre Dame sociologist, Christian Smith. 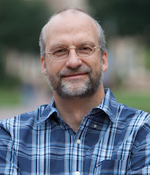 In addition to his teaching and research Smith also directs UNDs Center For the Study of Religion and Society. Though I am an alum of UND, I don’t know Smith personally, but I am familiar with his works, especially his book Lost in Transition: The Dark Side of Emerging Adulthood (Oxford University Press, 2011). Professor Smith earned his doctorate at Harvard. 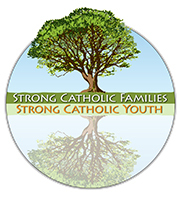 More info on Strong Catholic Families: Strong Catholic Youth is found at this link. Before all the “extras” are dismissed from the Sistine Chapel so that the cardinal-electors gathered to elect a new Bishop of Rome, can get to work, the cardinals hear a admonition, typically from one of their own. A papal election is not only an ecclesial act, but also a formation of mind and heart. Cardinal Prosper Grech, OSA, 87, was that admonitor. The Cardinal is a brilliant man with a good sense of humor. What he’s given us to ponder is yet another path into the heart of the gospel and the Church, today. 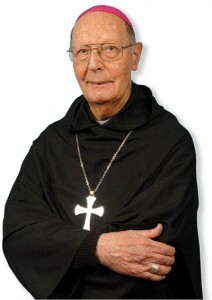 Grech’s ideas just might open a new door for the work of the new evangelization and one’s own formation in the Faith. What is fascinating is that the text of the secret session was made public recently. 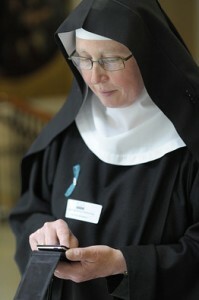 Last week I saw somewhere in cyberspace some paragraphs of Cardinal Grech’s text. This hasn’t happened prior to now. The text, in Italian, was published in the recent edition of the Acta Apostolicae Sedis. A portion of the text now appears on Sandro Magister’s website, La Chiesa, under the title, “Groundbreaking: The Last Warning to the Pope’s Electors.” The following several paragraphs are indeed very, very interesting. After his resurrection Jesus sent the apostles into the whole world to make disciples of all peoples and baptize them in the name of the Father, and of the Son, and of the Holy Spirit (Mt 29:19). The Church does this by presenting the Gospel without compromise, without diluting the word. […] When one descends to compromises with the Gospel one empties it of its “dynamis,” as if one were to remove the explosive from a hand grenade. Nor must one give in to temptation thinking that, since Vatican Council II is believed to have leveled out salvation for those who are outside of the Church as well, the need for baptism has been relativized. Today is added the abuse of many indifferent Catholics who neglect or refuse to baptize their children. The proclamation of the Gospel of the Kingdom of God is made concrete in the proclamation of “Jesus Christ, and him crucified” (1 Cor 2:2). […] It is precisely this scandal of the cross that humbles the “hybris” of the human mind and elevates it to accept a wisdom that comes from above. In this case as well, to relativize the person of Christ by placing him alongside other “saviors” means emptying Christianity itself of its substance. It is precisely the preaching of the absurdity of the cross that in less than three hundred years reduced to the minimum the religions of the Roman empire and opened the minds of men to a new view of hope and resurrection. It is for the same hope that the modern world is thirsting, suffering from an existential depression. Christ crucified is intimately connected to the Church crucified. It is the Church of the martyrs, from those of the first centuries to the many faithful who, in certain countries, are exposing themselves to death simply by going to Sunday Mass. […] Jesus predicts: “if they have persecuted me, they will persecute you” (Jn 15:20). Therefore, persecution is a “quid constitutivum” of the Church, […] it is a cross that it must embrace. But persecution is not always physical, there is also the persecution of falsehood: “Blessed are you when they insult you and persecute you, and say all manner of evil against you falsely for my sake” (Mt 5:11). You have recently experienced this through some media outlets that do not love the Church. When the accusations are false one must not pay attention to them, even if they cause immense pain. It is another thing when what is said about us is the truth, as has happened in many of the accusations of pedophilia. Then we must humble ourselves before God and men, and seek to uproot the evil at all costs, as did, to his great regret, Benedict XVI. And only in this way can we regain credibility before the world and give an example of sincerity. Today many people do not arrive at believing in Christ because his face is obscured or hidden behind an institution that lacks transparency. But if recently we have wept over many unpleasant events that have befallen clergy and laity, even in the pontifical household, we must consider that these evils, as great as they may be, if compared with certain evils in the history of the Church are nothing but a cold. And just as these have been overcome with God’s help, so also the present crisis will be overcome. Even a cold needs to be taken care of well to keep it from turning into pneumonia.